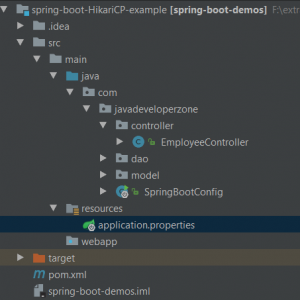 This article is for Spring boot JDBC HikariCP Example. HikariCP is very popular and known database connection pooling library, especially for performance and concurrency matters. Spring boot by default use tomcat connection pooling but we can configure HikariCP easily with spring boot. According to spring boot documentation, Spring boot also giving high preference to HikariCP for performance and concurrent database application. In our previous article Spring boot common dbcp2 connection pool, We have explained what is requirements of connection pooling. Here we have excluded tomcat-jdbc connection pool and add HikariCP dependency in classpath. data source related properties available here. We can configure Hikari related properties using spring.datasource.hikari.*. Here we have Autowired DataSource to check which connection pool is used by spring boot. At startup of the application, Spring boot will print connection pool object so we can check that Hikari collection pool is configured or not. Using JDBC template we have retrieved data from the database. * Created by JavaDeveloperZone on 03-08-2017. Here is output log so we can check it Hikari Connection pool is configured in our application. 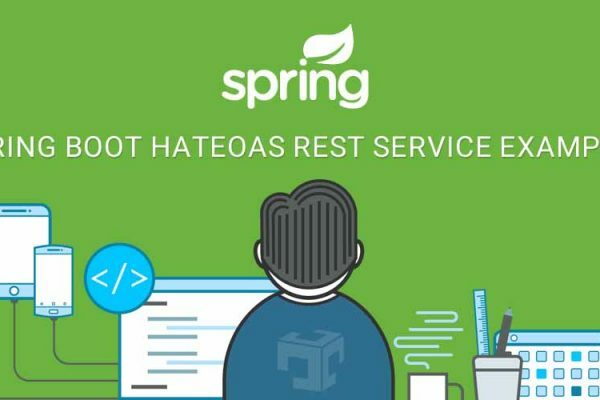 In this article, We learned that how to configure Hiraki Connection pool with spring boot application. I like to say again HirakiCP is preferable for the concurrent database application.